An HOA asked me to give a bid on replacing the trim on 60 windows and doors that are rotting on two condo buildings here in low-humidity Northern Colorado. Some mushrooms are growing. The material is hardboard and the two other buildings that were completed first used Hardie trim. Both buildings used Hardi siding. Not sure why the builder is not responsible. Could it just be inadequate caulking? There are shutters so the sides are difficult to see. I have never seen this before. Other, decades old buildings with hardboard trim in this area, look fine. I have smartphone photos on my desktop but, apparently, they are too large for this particular site. For your PC get paint dot net a good lightweight photo program been around for years. Inadequate paint or exposed end grain I surmise. I replace lots of trim due to no/not enough paint. If your desktop is running any modern version of Windows, open the image in "Paint"..
1. 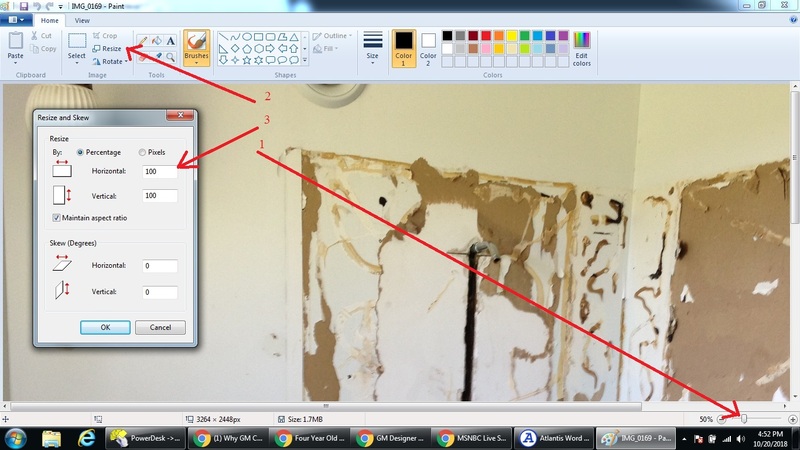 Resize what you see in "Paint" with the slider on the bottom right of the work screen. 2. Select the "Resize" control. 3. Choose the percentage option and select something less than 100%. 75 % always works for me with my older iPhone. Then "save" the reduced image under a different file name - so you can preserve the original. Then upload the newer, smaller image. Lightning fast, keyboard shortcuts for everything, and freeware. Been using it for years. One of the great things about Irf is that it does batch processing. You can view/select a whole slew of images and then apply the desired change to all of them at once. Thanks for the tips. I am currently attempting to resize but need to run off to work soon. The other photo fails to upload. That looks like bacon. Do not replace this magic wood that grows bacon. MMMMMM, bacon. Just kidding. Without seeing more its hard to say. Need more information and pictures. Is it a multi story building? Is this only on first floor? 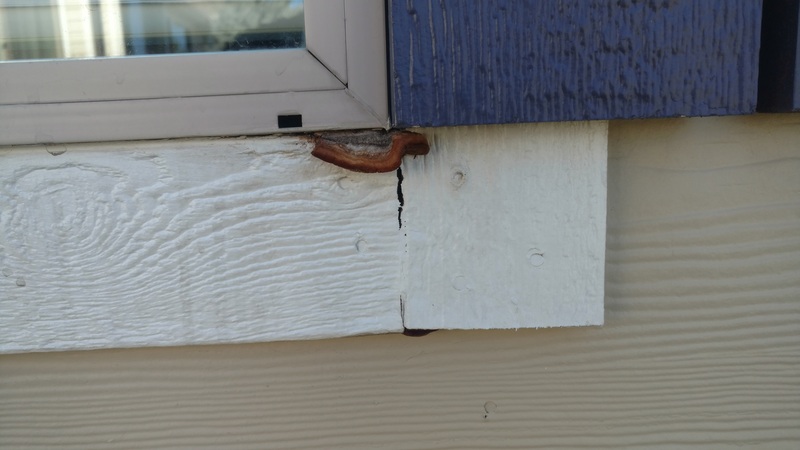 Do you see evidence of caulking? With that type of rot after only 4 years I wouldn't be surprised if the sheathing is also getting wet below the window. Honestly this is one of those time where you won't know until you start taking stuff apart IMO. Two story, multi unit condo buildings. Yes, I will not know what if there is any damage until I pull of the pork belly trim. Keep getting Error 520 messages when trying to upload the next photo which I reduced to 75% then tried 25%. That might be a current, but temp issue with the site. Having run miles of 1x4s around windows in NoCo, I can tell you that the hardboard 1x can get mushy within a year. Not in every situation, but often enough that I flat out quit using it. My regular go to is the OSB based Smart Trim from LP. If I have to use a smooth product, I'll go with Miratec. TJBNWI recommends Boral, but nobody up here that I know of keeps it in stock. Hopefully they used decent housewrap, and installed it correctly, or there will be rotten sheathing. 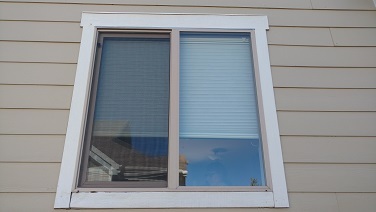 They agreed to allow me to remove the trim from one window, access the situation then replace with Hardi trim. I will report back. I also live in FC and oddly have never seen this before. I replaced most of the cedar trim on my 1986 house with hardboard when I painted 15 years ago and it still looks new.